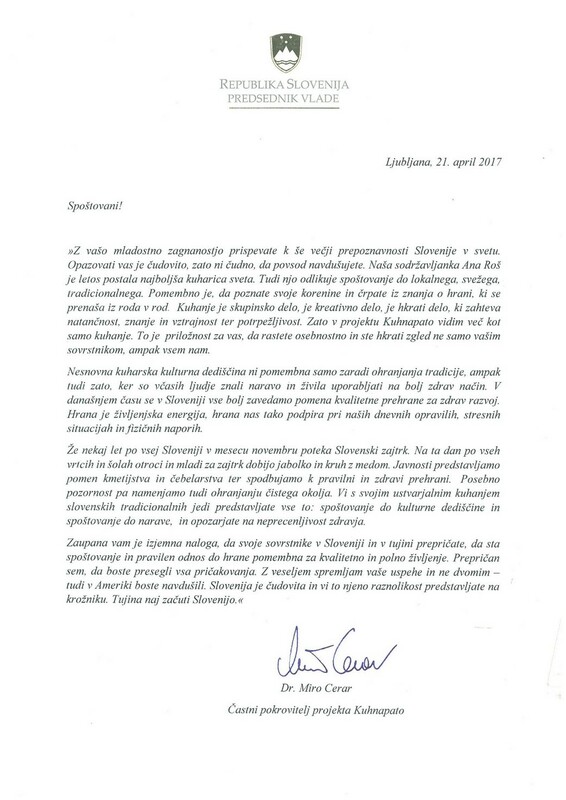 Otroci Kuhnapato Projekta predstavljajo slovensko prehransko tradicijo v ZDA! Uspešne kuharice z OŠ Šturje Ajdovščina: Taša, Tanaja, Zala in Urška, pod mentorstvom Petre Ušaj, predstavljajo slovensko tradicijo in lokalno značilne jedi Vipavske doline otrokom javnih šol Washingtona. Schools in Washington DC will be celebrating International Food Day on 10 May as part of an ongoing project by District of Columbia Public Schools. 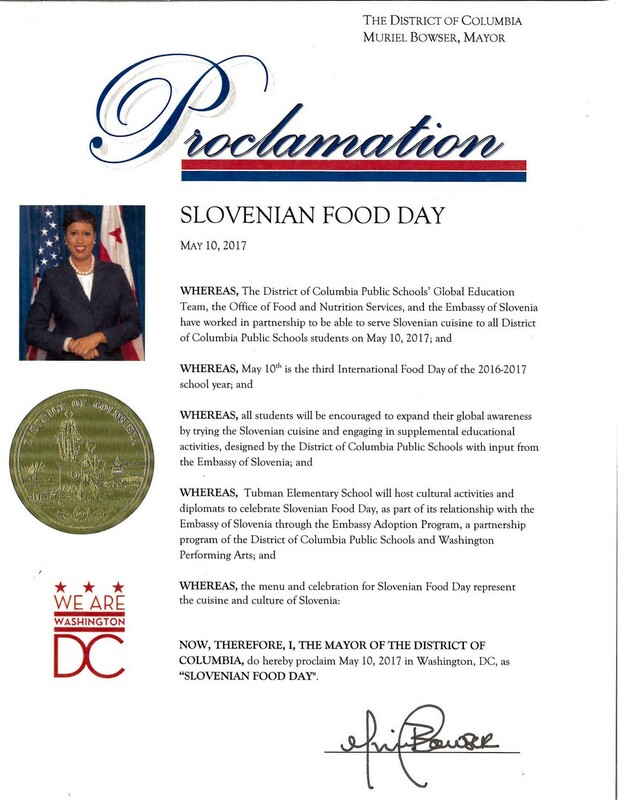 DC Mayor Muriel Bowser will proclaim this edition of the celebration "Slovenian Food Day", which means that Slovenian dishes will be served in all DC public schools. A group of students from the OŠ Šturje elementary school in Ajdovščina, this year's winners of the Kuhnapato cookery competition, will prepare traditional Slovenian dishes for the occasion, together with their peers from the Harriet Tubman Elementary School in Washington, which is matched with the Embassy of the Republic of Slovenia in Washington under the Embassy Adoption Program. 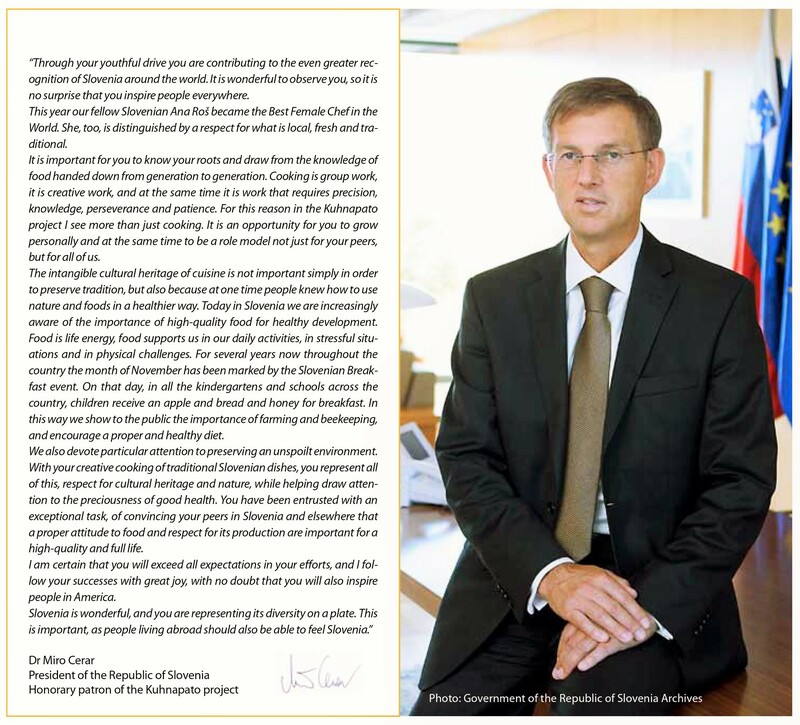 The patron of the Kuhnapato project is the Slovenian Prime Minister Miro Cerar. On International Food Day the Slovenian Embassy in Washington DC will hold an event at Harriet Tubman Elementary School consisting of a presentation of Slovenia through the eyes of American and Slovenian elementary school children. The event will begin with the Slovenian and American national anthems sung by the American students, after which seven American students will demonstrate their knowledge of Slovenia by presenting the facts they have learned about our country over the course of the past year. As well as the guest of honour Mr Božo Cerar, the Ambassador of the Republic of Slovenia, speakers will include the Director of Global Education at DC Public Schools, Kate Ireland, and representatives of Harriet Tubman Elementary School. The event will also include a video about Slovenia, while the young chefs will offer a brief introduction to their homeland. At lunchtime the students will also have the opportunity to view a presentation of Slovenia with information about its natural and cultural heritage.